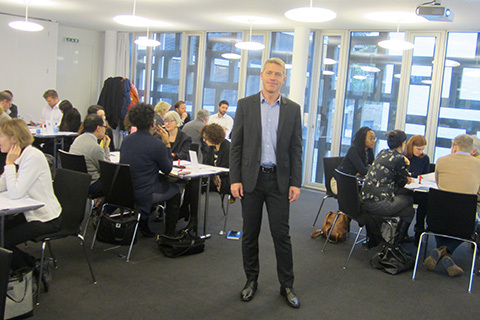 On 18 January 2018, Michael Pedersen facilitated a governance workshop in the context of a seminar for international sport organizations. 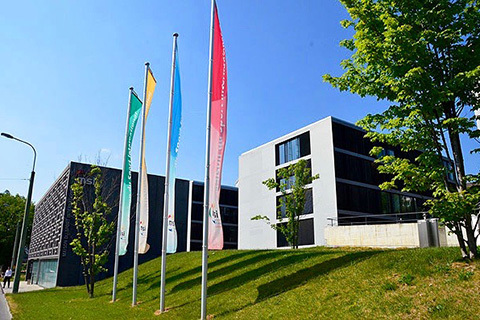 The seminar, hosted by City of Lausanne and International Academy of Sports Science and Technology (AISTS), took place at House of International Sport in Lausanne, Switzerland. 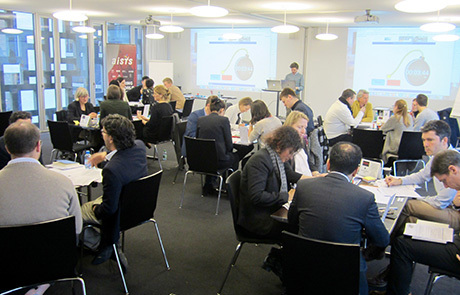 45 persons from 33 international sport organizations participated. 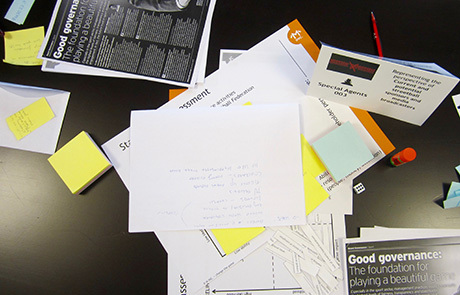 With a view to exploring and further defining evolving good governance practices in sport, the governance workshop was based on a highly innovative, engaging and participatory design. 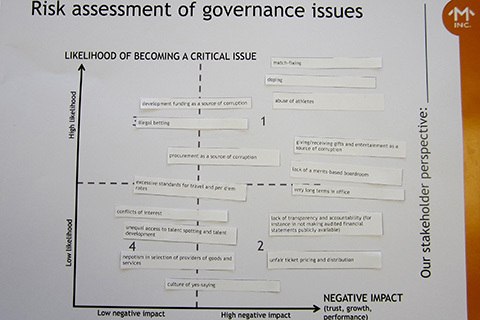 Throughout the workshop, participants had ample opportunities to take different stakeholder perspectives on specific sport governance challenges and solutions, while addressing aspects such as comprehensiveness, adequateness and effectiveness of governance measures. Acknowledging that sport is a reflection of society, it should be expected that any sport and any sport organization have approx. 20% principled, 20% unprincipled and 60% followers engaged. Focusing efforts on particularly motivating the 60% followers has the biggest potential positive impact in nurturing an ethics and integrity based culture and so in making measures of good governance effective. As the Olympic capital, Lausanne is the home to more than 57 international sport organizations. 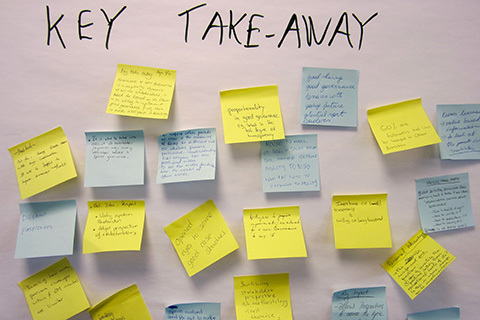 AISTS is an interdisciplinary centre of excellence in sport management, which provides education, consulting and a platform for connecting in sport.